The Russian Defense Ministry has signed a $470 million contract with the MiG corporation for the delivery of 16 advanced MiG-29 SMT fighters, the ministry said Tuesday. The company had earlier confirmed the deal in an interview with RIA Novosti, but did not specify its value. "The value of the contract, including the ground support and test equipment, is more than 17 billion rubles. The contract is a strategic measure for maintaining the combat readiness of the lightweight fighter fleet," the Defense Ministry said in the statement. As of last year, the Russian Air Force had 28 of the fighters, a single-seat upgraded version of the MiG-29 SM fighter capable of using smart air-to-surface weapons. The MiG-29 SMT, developed in the first half of the 2000s, features add-on fuselage fuel tanks for extended range, special radar-absorbing paint, and can be outfitted with supersonic and anti-ship missiles. The plane can perform ‘blind’ bombing runs at night, as well as reconnaissance missions. 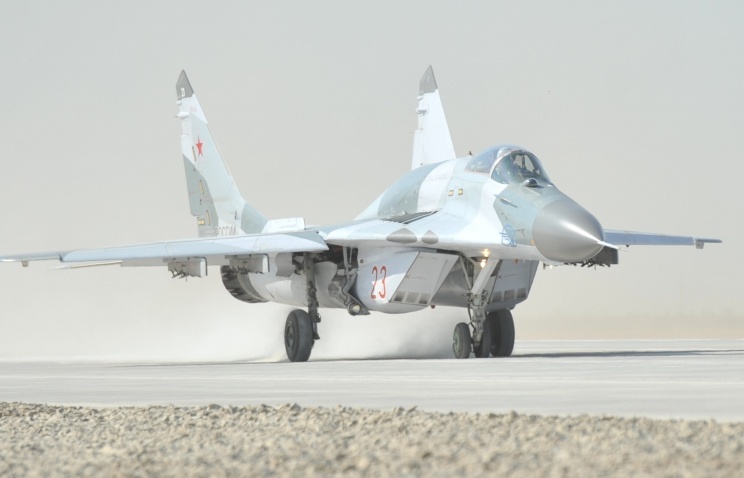 The Defense Ministry also plans to sign a contract for the delivery of 4++ generation MiG-35S fighters after 2016, with about 100 to be built in the near future, a spokesman for the ministry told reporters Tuesday. The move will help optimize the ratio of light and heavy fighters in the Russian Air Force, the ministry said.